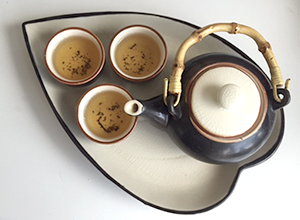 Whether you prefer a cup of builders or an exquisite Da Hong Pao, how you prepare it is an oft disputed but nevertheless important aspect of appreciating a decent cup of tea. 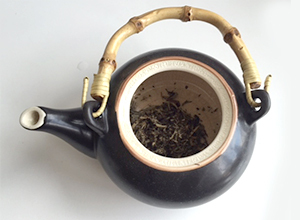 At …in a strange land we tend to drink Chinese tea and the following guide is recommended for our range of tea from the T-Project but can be applied to any Chinese tea. The Chinese take their tea very seriously and in our time we have consumed vast quantities of White, Green, Black, Yellow, Oolong and PuErh. If you have visited China you will notice that any people will simply put a few leaves directly into their cup or container and drink it just like that. There is one key factor here though, which is that the tea will be consumed fairly quickly, rarely having the time to sit and stew. Also this method of consuming tea will ordinarily be for cheaper, more day to day tea. 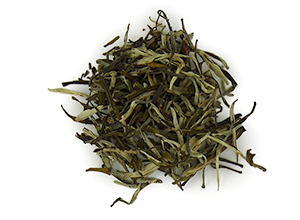 Tea is huge business in China and the quality, flavour and aroma varies greatly. However to get the best out of a good quality tea it is necessary to treat it with respect and to make it in a POT. 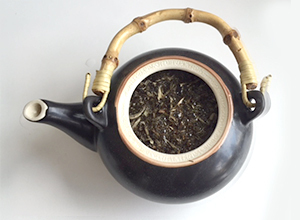 The steeping time varies from tea to tea but the basic method is the same. When tasting tea or entertaining in China, people will often use a Gongfu tray allowing them to pour water directly on the pot and cups. It might be easier to simply fill the hot half full, leave for 30 seconds and then discard the water. The traditional British quantity is one teaspoon per person and one for the pot but it’s actually a better to equation to allow one teaspoon for for every 250 ml of water. Never pour boiling water directly onto the leaves as this could scald the leaves and impair the aroma. Some teas have a higher resistance to heat but the temperature should never be above 95 degrees C. Green and white teas will scald more easily so a lower temperature not lower than 70 degrees C should used. The infusion time also varies depending on the tea but is typically between 3 and four minutes. The tea should be removed from the liquid prior to drinking however if you’re only using a small teapot which could be drained quickly this shouldn’t be a problem. You can pour the liquid into another container and serve from there if you wish. However oversteeped tea will become bitter which may decrease your enjoyment of the aroma and taste. This guide will suit for all loose leaf tea. If you’re using an internal tea strainer in your teatpot ensure it is large enough for the tea to be able to circulate in the water. Tea eggs and similar devices will compress the leaves and result in inferior flavour and aroma. Why be an ethical consumer?